Injuries to defensive backs means there will be a lot of mixing and matching when the Gamecocks face Florida. 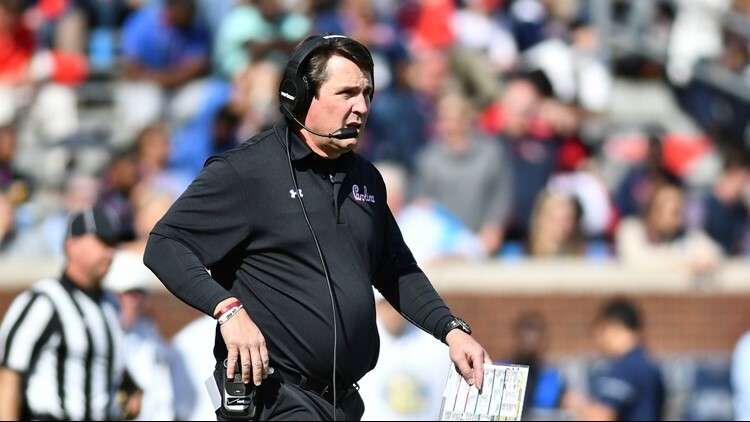 He may be the head coach but Will Muschamp still works heavily with the defensive backs. The coach and his staff have had to shuffle some players so they can have a serviceable that can take on the Florida offense. It was already announced that Jamyest Williams (shoulder) and Javon Charleston (foot) would miss the rest of the season. J.T. Ibe (knee) and Nick Harvey (concussion) haven't played in a few weeks. On his Thursday night radio show, Muschamp announced that among the shuffling, senior Rashad Fenton who usually plays cornerback or nickel will add a third position to his repertoire. "Rashad is a very bright guy." Muschamp said. "Rashad is going to play safety, nickel and corner in the game. But he can handle those things. That's what you need your seniors to do. You need your seniors to be able to, when you are a man down, to be able to man up and play another position and he's extremely bright and he can handle it." The Gamecocks and Gators kick off at noon in The Swamp.